The term grand multiparity is used in reference to women who have previously given birth several times. Some consider a pregnant patient to be a grand multipara if she has already given birth four or more times, and a great grand multipara if she has already given birth nine or more times. These numbers include stillborns delivered 20 or more weeks into pregnancy. It is important to note, however, that exact definitions for grand multipara and great grand multipara vary considerably, making comparisons between studies on grand multiparity somewhat imprecise. 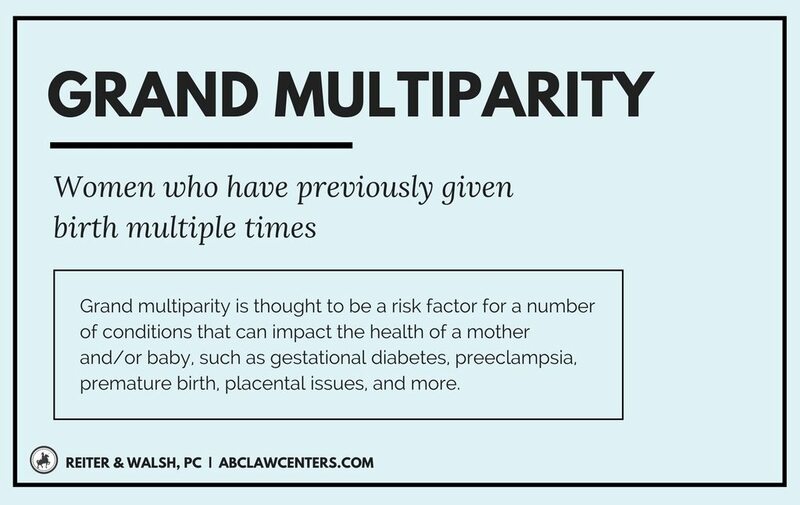 Although having previously given birth once decreases the risk of certain obstetrical complications, grand multiparity is thought to be a risk factor for a number of conditions that can impact the health of a mother and/or baby. Here, we will discuss some of the ways in which grand multiparity may influence pregnancy outcome. We will also explore some confounding factors that may be necessary to consider when interpreting studies on grand multiparity. Inconsistency in the definitions of grand multipara and great grand multipara. In counting previous births, some take into account outcome (live birth or stillbirth), while others only consider how far along a woman was before delivery. Moreover, there is disagreement over the number of previous births that constitutes grand multiparity and great grand multiparity, as well as whether the birth of twins or other multiples should be counted differently from the birth of a single infant. These discrepancies make it more challenging to compare findings across studies or conduct meta-analyses. No control for the mother’s age. Unsurprisingly, grand multiparas and great grand multiparas tend to be older than those who have previously given birth zero-three times. As women age, their risk of experiencing certain pregnancy complications, such as diabetes and hypertension, increases. (For more information, please see our post on advanced maternal age.) Studies that have considered age have found a significantly lower risk of obstetrical complications in younger grand multiparas as compared to older grand multiparas. “Healthy person effect.” If a woman experiences complications with one of her first few pregnancies, she may be more likely to stop having children (because of the fear that additional pregnancies would be stressful, dangerous, or impossible). On the other hand, a woman whose first few pregnancies are safe and easy may be inclined to continue reproducing. Therefore, grand multiparas may have better baseline physical health than women who have given birth fewer times. Therefore, the risks of being a grand multipara may actually be underestimated. Additionally, it appears there is a nonlinear relationship between a woman’s number of prior births and pregnancy outcomes. Research has indicated that women with one to three prior deliveries have the best outcomes, with a higher risk seen in multiparas, and the highest risk in first-time mothers. Grand multiparity has been associated with an array of obstetrical complications, but with appropriate medical care, many grand multiparas have very successful pregnancies. 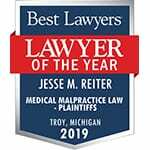 Medical providers should be aware of issues that may be more likely to arise in a grand multipara or great grand multipara, such as placental abnormalities, macrosomia, and postpartum hemorrhage. As with any pregnancy, doctors and nurses should carefully monitor the wellbeing of the mother and baby, and be prepared to act quickly in the case of an emergency. Advanced Maternal Age and Pregnancy Complications Is My Pregnancy High-Risk?